Globally Networked Customs « What Happened to the Portcullis? The WCO launched its national Customs Enforcement Network (nCEN) application in Botswana in October 2014. Following the pilot projects in Mauritius and Kenya, the nCEN is already operational in Namibia, Swaziland, and the Seychelles, providing these countries crucial opportunities for regional cooperation in the enforcement field. After an official meeting in Gaborone with the Executive Management Committee as well as with the General Managers of Botswana Unified Revenue Service, the WCO delegation conducted an eight-day nCEN Workshop intended to provide local officers with the necessary knowhow about the nCEN application, with an ultimate goal of improving the operational efficiency and analytical possibilities of their Administration. The workshop also touched upon the other WCO applications, giving valuable insight on the additional data mining and information exchange potential of the CEN suite. The launch of the nCEN application in the region is financially supported by the Finish government as a component of the WCO project “Building Trade Capacity through Customs Modernization in the East and Southern Africa Region”, aiming at providing Customs Administrations with the necessary hardware and software as well as related knowledge and skills to implement simplified and improved customs procedures with modern customs operational techniques. The nCEN application consists of three independent databases (a seizure database, a suspect database, and a company database), as well as a communication component. The core database of national seizures and offences comprises data required for analysis, including means of conveyance, routes, and the possibility to view photos depicting exceptional concealment methods. Two supplementary databases contain information on suspected persons and offending business entities, facilitating a structured investigation process. Since July 2014, EAC revenue officers work together to facilitate trade within the community. Some improvements remain made; the Single Customs Territory (SCT) does present some advantages. Since the single customs territory is operational, clearing processes are established in the country of destination while the goods are still at the port of Dar es Salaam”, explains Leah Skauki, a SCT liaison officer at the Tanzania Revenue Authority (TRA). Massoundi Mohamed Ben Ali, Administrative Director in Charge of Human Resources and Import – Export at the Bakhresa Grain Milling Burundi, is pleased with the new development. “Before the system was implemented, Bakhresa used to import 3800 Tonnes of wheat (40 trucks) and we were obliged to declare each truck with a different clearing agent. We now fill in one statement with one clearing agent. The procedures are done quickly with a small of amount of money”, he points out. Clearing agents testify that the number of statement on the borders is reduced. “Before, transporters had to fill in a transit declaration (T1) on each border”, one of the clearing agents in the Dares Salaam port relates. Aimable Nsabimana, a focal point of SCT in Dar es Salaam for the Burundi Revenue Authority, indicates that the computerised system they use is different in each country.”It is not easy to exchange data. We are forced to print documents for verification. And when the goods arrive in Tanzania, they are in the hands of the TRA which has its own software”, he notes. Inter-connectivity of software would facilitate verification and avoid fraud. This opinion is shared by many clearing agents: “If we were interconnected, the Tanzanians would be able to easily access Burundian data and vice versa”, one of them says. Léonce Niyonzima, programme and monitoring officer at OBR and the national coordinator of SCT, agrees that the lack of interconnectivity causes delays in the transmission of documents. Following a theme of logical progression over the past few years, the WCO has introduced “Communication” as this year’s theme for the 170+ Customs Administrations around the world. Last year’s theme “Innovation” set the platform for the introduction of innovative ideas and business practices, new partnerships, as well as new solutions and technologies. While still very much in its infancy, the WCO’s Globally Networked Customs (GNC) philosophy will undoubtedly gain more and more traction as administrations iron out their national and regional aspirations and objectives. The recent agreement on Trade Facilitation at the WTO’s conference in Bali adds further credence to the importance of the principles of the Revised Kyoto Convention (RKC). For the first time we see an attempt to fuse customs principles into a package of binding requirements. Now, more than ever, Customs needs to work ‘collaboratively’ with all stakeholders. With Customs and Border Agencies etching out new legal requirements, as well as organisational structures and plans, trade practitioners will likewise have to keep a watchful eye on these developments. Sometimes, not necessarily just for their own needs and obligations in their domestic markets, traders need to ensure that they keep apace with ‘destination’ Customs requirements which in these modern times are all too frequent. By opening its door to the business community, the WCO plays an ever-increasing overarching role in providing the private sector a ‘window’ to its thinking and ideology. There is nothing nebulous about the “cloud”, especially as it applies to developing countries, a new UNCTAD report says. For businesses and governments in poorer nations to benefit from cloud computing’s increasingly rapid and more flexible supply of digitized information – the sort of thing that enables online marketers to rapidly scale up their information systems in tune with fluctuations in demand – massive, down-to-earth data processing hardware is required. Also needed is extensive broadband infrastructure, as well as laws and regulations that encourage the investment needed to pay for advanced information and communication technology (ICT) facilities and to protect users of cloud services. 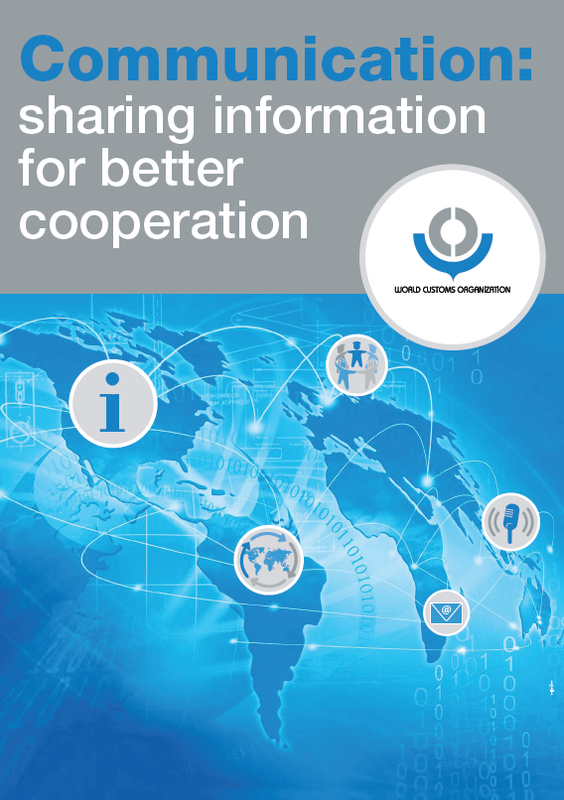 UNCTAD’s Information Economy Report 2013, subtitled The Cloud Economy and Developing Countries, was released on 3 December 2013. The report shows that cloud computing offers the potential for enhanced efficiency. For example, cloud provisioning may enable small enterprises to outsource some of the information technology (IT) skills that they would otherwise have to provide internally. Companies can benefit from greater storage and computing capacity, as well as the expertise of cloud service providers in areas such as IT management and security. But the study notes that options for cloud adoption in low- and middle-income countries look very different from those in more advanced countries. While free cloud services such as webmail and online social networks are already widely used in developing nations, the scope for cloud adoption in low- and middle-income economies is much smaller than it is in more advanced economies. In fact, the gap in availability of cloud-related infrastructure between developed and developing countries keeps widening. Access to affordable broadband Internet is still far from satisfactory in developing nations, especially in the least developed countries (LDCs). In addition, most low-income countries rely on mobile broadband networks that are characterized by low speed and high latency and therefore not ideal for cloud service provision. The report recommends that governments “welcome the cloud but tread carefully”. Within the limits of their resources, infrastructure such as costly data centres must be constructed; at present, developed economies account for as much as 85 per cent of all data centres offering co-location services. In simple terms, cloud computing enables users to access a scalable and elastic pool of data storage and computing resources, as and when required. Rather than being an amorphous phenomenon in the sky, cloud computing is anchored on the ground by the combination of the physical hardware, networks, storage, services and interfaces that are needed to deliver computing as a service. The shift towards the cloud has been enabled by massively enhanced processing power and data storage, and higher transmission speeds. For example, some central processing units today are 4,000 times faster than their equivalents from four decades ago, and consumer broadband packages are almost 36,000 times faster than the dial-up connections used when Internet browsers were introduced in 1993. The potential advantages of cloud computing include reduced costs for in-house equipment and IT management, enhanced elasticity of storage/processing capacity as required by demand, greater flexibility and mobility of access to data and services, immediate and cost-free upgrading of software, and enhanced reliability and security of data management and services. But there are also potential costs or risks associated with cloud solutions. The UNCTAD report mentions costs of communications (to telecom operators/Internet service providers) and for migration and integration of new cloud services into companies’ existing business processes, reduced control over data and applications, data security and privacy concerns, risks of services being inaccessible to targeted users, and risks of “lock-in” with providers in uncompetitive cloud markets.